If you’re looking for a good buy under $2,000 you can probably stop right here. The Alkalux has it all. 7 large plates, 185 watts of SMPS power, safety features, ease of use, better than average industry warranty. Definitely worth the price. 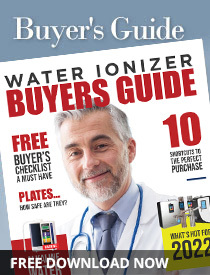 Checklist before you go for shopinga water ionizer. Select two or more products & compare them.